Improve your office's efficiency. Employees waste a lot of time on printer-related tasks. This is especially true if they're trying to print, scan, copy, or fax on old hardware. MPS can identify problems like poorly configured printing software and develop plans to reduce the time employees spend on these tasks. Reduce costs. The average employee's printing costs average around $600 to $1,300 every year. But maintenance costs on old hardware can be just as costly. MPS connects all your printing devices to a single monitoring system. This ensures each of your devices receives maintenance when needed. It also reduces the cost that's associated with unused inventory. MPS can also consolidate your hardware after a thorough print audit and assessment to help you save money. Reduce paper waste. MPS provides your business with a monitoring system that enables you to identify and track levels of printing. 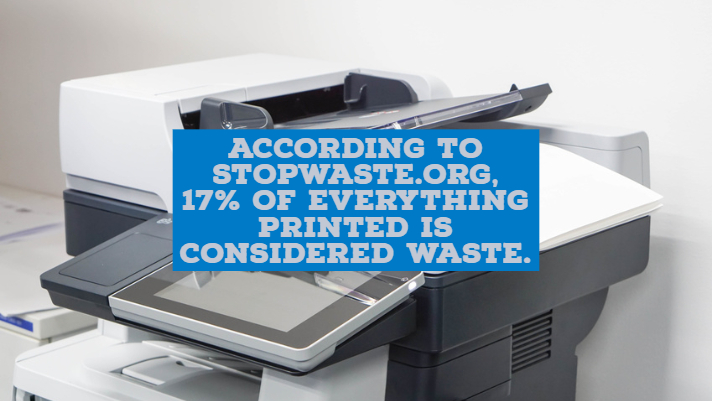 This gives you the ability to intervene and reduce paper waste for a smaller environmental footprint. Keep your workplace tech on the front lines. MPS gives you greater freedom in terms of improving your tech processes. Your IT department no longer has to worry about repairing or optimizing your printing devices regularly. Now that your IT department has greater freedom, they can do more workplace technology projects. Improve your information security. MPS can identify print and IP security risks your business faces by assessing your printing devices. After a print assessment, your managed print services can help to mitigate these risks and create a print security plan tailored to your organization. Want to improve efficiency in your office? A and B Business Solutions provide managed print services to reduce paper waste, improve efficiency, and optimize your workspace. We also provide electronic document management services so you can keep all of your important documents in one place without losing them in filing. To learn more about our managed print solutions or electronic document management services, contact A and B Business Solutions today.